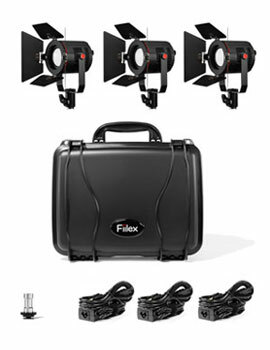 San Francisco, CA (February 13th) Fiilex is proud to announce its newest lighting kit, the M381 "Studio in a Lunch Box", an ultra portable, three light kit perfect for the globe trotting image maker or the electronic news gatherer. This kit is ideal for those that need professional lights that travel exceptionally well. In 2013 Fiilex released the K301 lighting kit. The kit included three P360 Lights, with a combined output equivalent of over 1000W! The lights and stands came inside a wheeled case small enough to fit in an airplane overhead compartment! 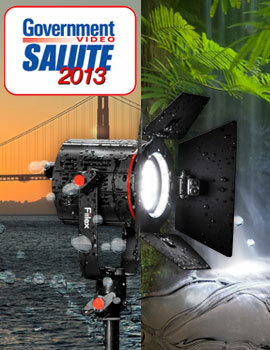 The kit set the bar for portable lighting and is tremendously popular for filming on location. Following the incredible success of the K301 kit, Fiilex has raised the bar again and just released its newest kit for the imaging professional on the go. The M381 is a three light kit that travels light yet packs a powerful punch. The complete kit weighs less than 15 lbs, lighter than 2 gallons of milk. The case measures approx. 15" x 12" x 7" small enough to fit under an airline seat and still leave room for your feet. This is the perfect kit for the world traveler and those that follow the stories wherever they are. The kit features three of Fiilex's P180E lights. The P180E has an effective output of 200W and weighs less than an 8 oz soda can! The P180E tunes continuously between 3000K to 5600K. You can quickly adjust your lights to match the warmth of a California sunset, or the cool light of a Paris winter. Your colors will look amazing, the P180E has a Color Rendering Index rating >92. The full spectrum specular light gives you the crisp hard edged shadows you can only get from a singular light source. If you want a more diffuse light, Fiilex offers a full line of light modifiers and accessories that easily attach to the P180E. The P180E has an IP 24 rating (IP 25 with optional rain shield), so your lights can handle a rainy Seattle day, a snow storm in Siberia or a humid Manhattan summer. Drawing only 40W, the light can run off any standard 12-28V DC power. With just a few battery packs or your truck's cigarette lighter, you can be lighting the darkest corners of the world. The solid state technology means there are no bulbs to break, so you can spend your time hunting down the story and not spare bulbs. "You may not believe that you can fit three professional lights into such a compact case, but the Studio in a Lunch Box M381 kit does just that. ", says Brent Siebenaler Brand Manager for Fiilex, "Once you see the kit in action, see the capabilities, and then pick up the case and feel how light this all is, you will be blown away." The "Studio in a Lunch Box" M381 Kit is available now from Fiilex dealers. The three light M381 kit comes with three P180E lights housed in a Seahorse SE-520 case. This case is built to military specs, features a built in pouch for the AC power cables, and has custom cut high density foam for the lights and accessories. The case keeps everything safe from water and dirt, and secure from unexpected bumps in the road.